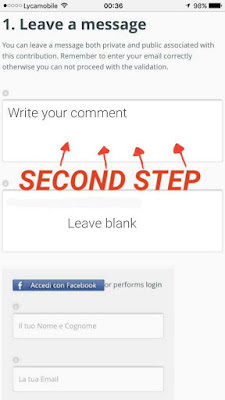 FIRST (1) STEP: go to the Petition website http://buonacausa.org/cause/nnamdi-kanu-deve-essere-rilasciato-immediatamente and click on the big green column where there is written SOTTOSCRIVI which means SUBSCRIBE. 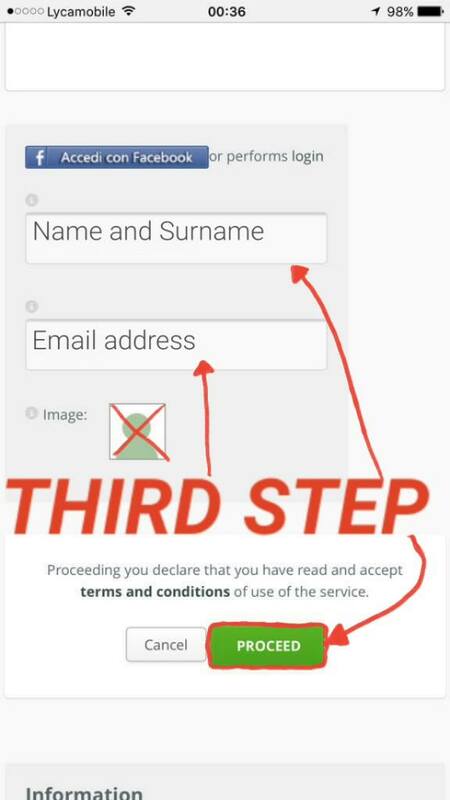 THIRD (3) STEP: where there is written IL TUO NOME E COGNOME meaning YOUR NAME AND SURNAME write your name and surname. And where there is written LA TUA EMAIL meaning YOUR EMAIL write your email address. FOURTH (4) STEP: ONCE YOU'VE COMPLETED THE PREVIOUS 3 STEPS, YOU WILL NOW RECEIVE AN EMAIL WITH A LINK TO CONFIRM AND VALIDATE YOUR SIGNATURE TO THE PETITION. CHECK YOUR EMAIL INBOX OR EMAIL SPAM TO RECEIVE IT. 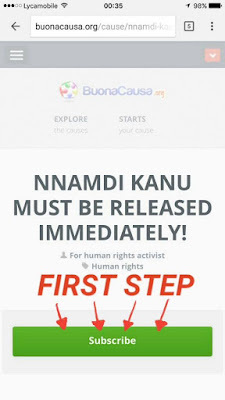 IF YOU HAVE RECEIVED THIS EMAIL WITH THE LINK, CLICK ON THE LINK AND IT'S DONE. 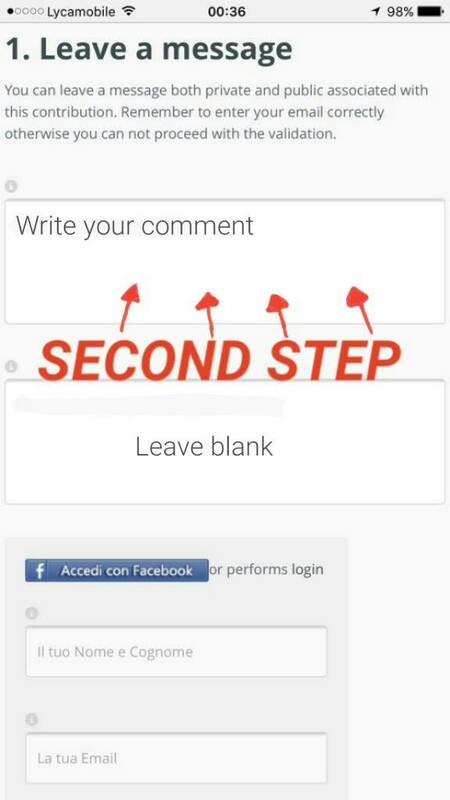 YOU'VE SIGNED THE PETITION CORRECTLY. Evil against humans /Biafrian people by Nigerian government must stop. The world should stand against such evil and campaign for peaceful coexistence by conducting a referendum. 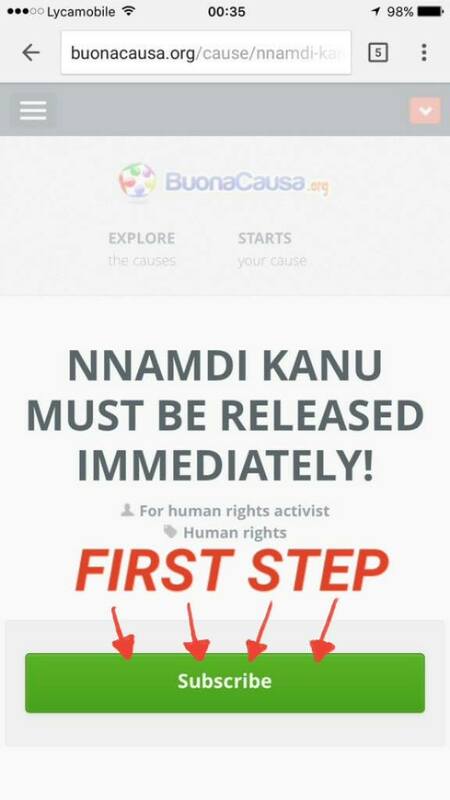 To allow the Indigenous People of Biafra decide thier faith either to stay as one Nigeria or Go back to their Indigenous Nation State.